You guys! I have found the hoodie you'll want to live in. 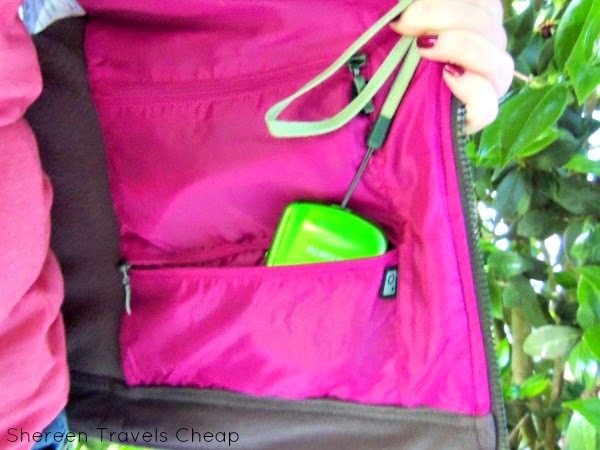 It's so cozy and warm and even carries everything you need in it, so you can leave your purse at home and stay organized and safe on vacation. 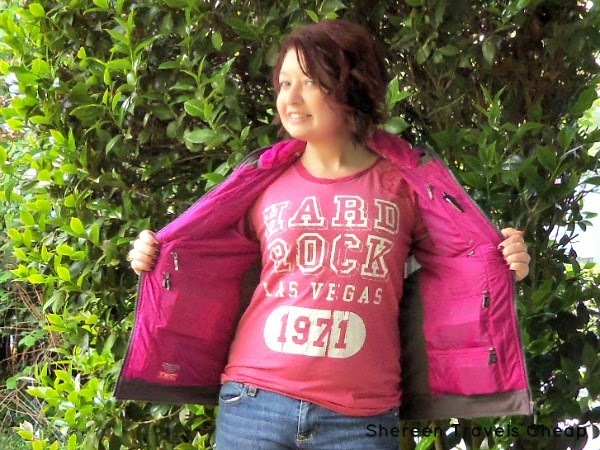 SCOTTeVEST started with their many-pocketed travel vests for men and women, but have branched out into more outerwear that you can wear everywhere you go. This Chloe hoodie is both adorable and flattering, plus it keeps all the stuff you carry with you close at hand in hidden pockets. There's almost nothing this hoodie can't do. I mean, it's not very good at taxes, but there's a pocket that could hold all your tax papers. The Chloe hoodie is your answer to traveling light and getting through airport security more easily. Just take it off and throw it in a bin with your shoes. Carry all your electronics in it and travel documents, so you don't have to dig around in your carry-on for any of it. 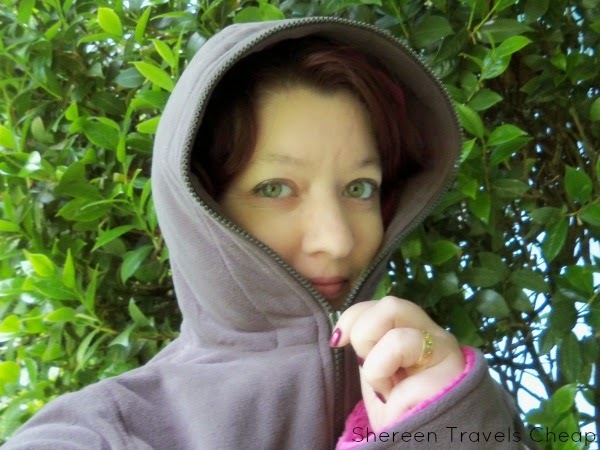 If it gets cold on the plane or at your destination, fold down the fleece cuffs and use the thumb holes to keep your hands warm. Either way, the warming pockets won't leave your wrists exposed (I can't be the only one that hates that), because the sleeves are long enough to cover them. The hoodie is form-fitting and attractive. When it's packed with all your stuff, you may notice it is a little lumpy. Solution: order one size up. 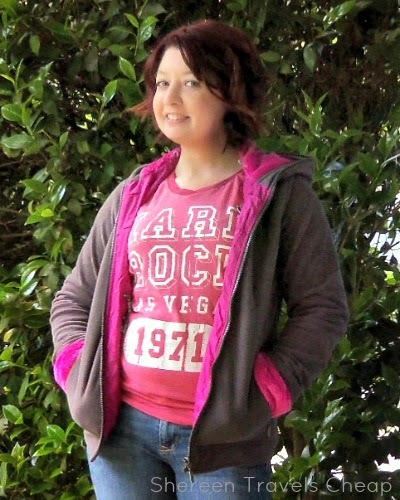 I didn't find that it was a problem in my normal size and enjoyed the snug fit. My belongings weren't stabbing me either, which is always a plus. Most hoodies have drawstrings to personalize the fit to your head. I find they just get in the way and don't really help that much, unless you're caught in a rainstorm. The Chloe fixes this with a hood that isn't as deep (novel idea: You can see when you put it on!) 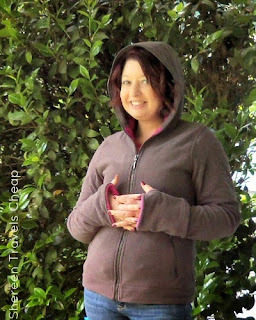 and a wraparound zipper that zips all the way up to your head, so you can adjust it to cover as much of your face as needed. It's lined in plush fleece. Cold, windy days won't have you freezing your ears off. Who doesn't love that feature? 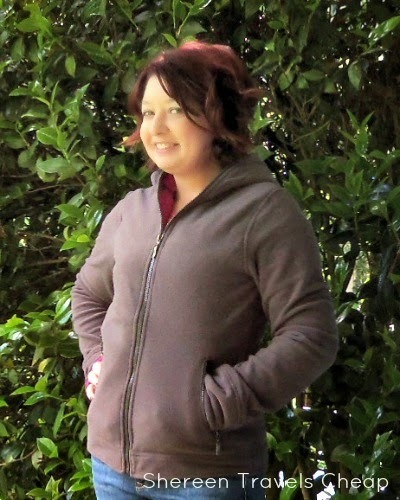 Check out all these awesome pockets in the Chloe Hoodie! In fact, it's got 14. One for everything you want to keep with you. 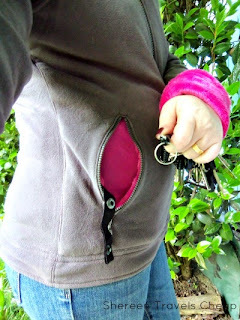 Your front right pocket has an extendable, removable keychain. 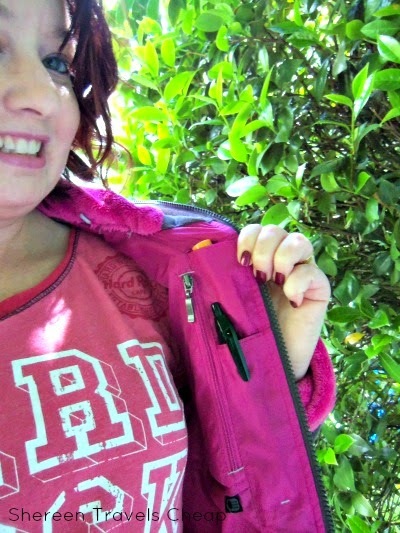 It also has a lipstick pocket (which was hard to photograph) that would also be great for cash and/or change. Your front left pocket has a small change pocket, which is perfect for a few coins or other small item you don't want to lose. 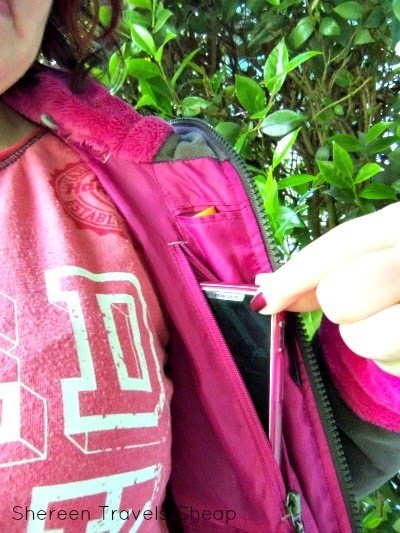 All the "stuff" pockets in your hoodie have cute little labels on them. There's this shallow one that will hold a normal sized smartphone. It's closest to your ear, so you can hear it ring, but also so you can plug in your headphones and run the cord through the loops in the bottom of the hood (as shown in the x-ray shot below). You know what else? You can use the touchscreen on your phone even while it's in your pocket. Awesome! 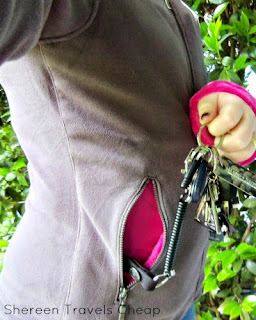 On each size of your zipper, you'll find a pen pocket and earbud "pockets", so you can keep them out of the way when not in use and keep them clean. They are also the perfect size for lip balm! Got reading glasses or like to put away your sunglasses when you're inside? There's a pocket for those, too. And if that weren't fancy enough, that pocket has a chamois cleaning cloth, so you can always see out of your lenses. It has a nice little note on it from the founders of SCOTTeVEST on one side and has a sweet little blueprint of your hoodie pockets on the other. it lives on a little elastic cord, so you can't lose it. I think they've thought of everything! Keep your camera and an extra memory card and/or battery on-hand with your camera pocket that also has a separate, smaller inside pocket, so you don't accidentally lose your memory card (or battery) when taking out your camera to snap pics. Love that, because mind always ends up lost in my bag somewhere. On the other side of your hoodie, you have two pockets. 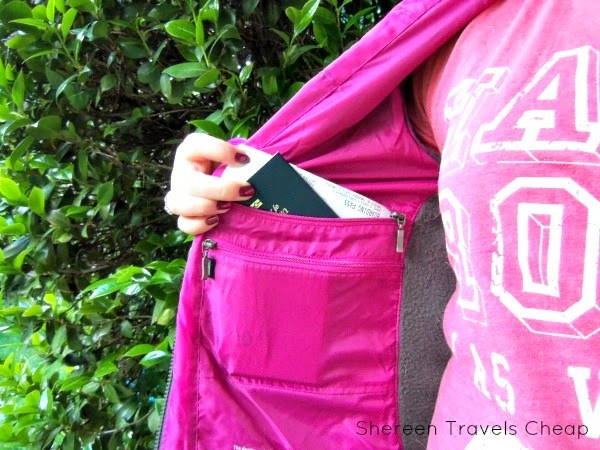 One for larger items - specifically a Kindle or iPad mini can fit in there, but your passport and boarding passes go well in there too - and a smaller one for your wallet or other items. Stash your ID in there for your trip through airport security! If your Chloe hoodie can't hold it, you probably don't need it. With Mother's Day coming up fast, you can wow your mom with one of these for her next trip. My own mom goes on trips with my dad on his motorcycle and has limited space to carry things. She thought this hoodie was the ideal piece to wear to hold things that don't fit in the tiny trunk and also keep her warm. In Portland, there are a lot of bike riders. If you're the same, this is a great layer for you too. You'll be seeing me wearing this anytime it's cool enough to need an extra layer! Disclaimer: I was provided with the SeV Chloe Hoodie for the purposes of this review, but all opinions are 100% my own.